Jennifer Kennedy (right) has been appointed as a new member of the Women’s Ministry Team. Jennifer’s husband, Matt, is pastor of Dillman UB church in Warren, Ind. She takes the place of Stacy Gentry; she and her husband, Don, are now serving at a non-UB church. HU students at the iNRB convention. Dr. Sherilyn Emberton, president of Huntington University, is front-center. The students, all from HU’s Digital Media Arts Department, received the honors at the iNRB Student Production Awards Ceremony in Nashville, Tennessee, on Wednesday. February 25, 2015. Juniors and film production majors Cassie Kasicki of Rockford, Ill., and Eric Luce of Salina, Kansas, won first place in the documentary film category for their entry titled “XO: What Defines You?” Their project also received the “Film Award of Excellence” within all the film categories. 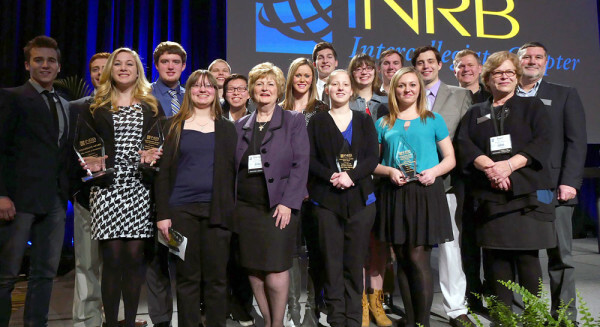 First-place winners in each category were awarded $150 in prize money to be divided among team members, plus the opportunity to attend the 2015 NRB International Christian Media Convention in Nashville, Tenn. In addition to prize money, all first-place winners received a trophy and a certificate, along with $300, divided among team members, to cover transportation costs to the convention. Twelve students traveled to the NRB convention this year along with Dr. Lance Clark and Dawn Ford, associate professor of digital media arts. All of the students competed in an onsite 24-hour media contest in film, TV news, and public relations. The Huntington University website can tell you a lot more about the Digital Media Arts Department. Please keep Don and Carol in your prayers. 23 Feb Sinnah Funeral Arrangements. How to Help. Funeral arrangements have been finalized for Lettitia and Sundima Sinnah, who died February 10 in a parsonage fire in Baltimore, Md. Lettitia was the wife of Rev. Samuel Sinnah, pastor of the Brooklyn Park UB church in Baltimore, and Sundima was their 17-year-old son. Funeral: Saturday, March 21, 2015. Time: Visitation 10-11 am. Funeral 11 am. Location: North County High School, 10 East 1st Ave., Glen Burnie, MD 21061. A vigil will be held at the Brooklyn Park UB church on Friday night, March 20, from 7-9 pm. Bishop Phil Whipple will speak at the funeral the next day. Lettitia’s mother and sister are coming from Sierra Leone. Efforts have been made to expedite the securing of passports and visas. The Ebola crisis complicates matters, though it’s uncertain whether any 21-day quarantine will apply in this situation. However, the funeral home could keep the body for a limited period of time, so they had to go ahead with scheduling the funeral. We invite you to help with some costs related to the funeral and the ongoing needs of the Sinnah family. Rev. Sinnah and his remaining son, Joseph, are currently living at a hotel. They will be relocating to an apartment, and will need money for furnishings and other costs. Travel costs will be significant for Lettitia’s mother and sister. Write checks to “United Brethren in Christ,” and include a note saying the donation is for Sinnah Family Relief. Note: these donations will NOT be tax-exempt. A United Brethren History Course will be held May 4-5 in Akron, Ohio. This course is a requirement for ministerial licensing in the United Brethren denomination. However, people who just want to learn more about UB history are invited to attend. During the past four years, 125 people have attended the course in 15 different locations. 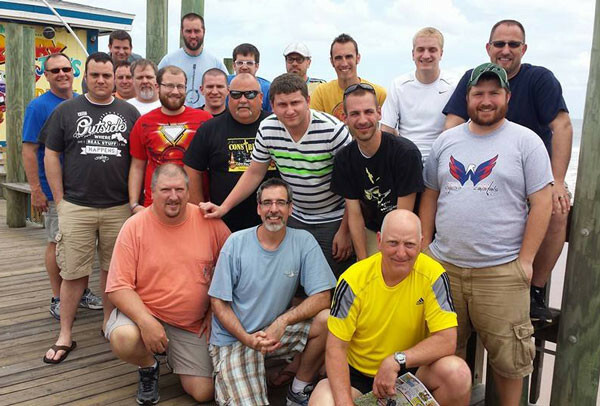 Instructor: Daryl Elliott (right), senior pastor of Fountain UB church (Keyser, W. Va.). $20 for “Trials and Triumphs,” a history of the United Brethren church. ($14.95 for the book, $5.05 shipping for US, $12.95 international). The book will be sent from the national office. Or, stop by the office and pick up a copy, to save shipping. You MUST have a copy of the book for the class. Order a copy from Church Resources at the National Office by calling toll-free: 888-622-3019, ext 301. Note: $50 discount if you pay fully in advance! Participants in the 2014 UB Youth Workers Summit. This annual event is available to all paid youth ministry staff or the lead youth ministry volunteer in the church. About 25 youth workers typically attend. This year’s keynote speaker is Don Rosco. He will walk us through the life of Christ and how that can and should apply to our ministry today. You can register now. After April 1, the cost rises $50 and is on an availability-only basis. This is due to contracted arrangements with the hotel. The registration fee includes meeting costs, lodging, breakfasts, and two “Special Treat” dinners–one hosted by Huntington University, the other by Bishop Phil Whipple. Roger Reeck underwent ankle replacement surgery on Tuesday, February 17, in Medford, Oregon. Marilyn writes, “Roger came thru the operation fine. The doctor is pleased especially because he was able to correctly align the ankle. Roger will be in the hospital for another 36 hours as they seek to control the pain level. Roger is in good spirits.” Roger added that the pain right now is “bearable.” Roger and Marilyn are career missionaries with Wycliffe Bible Translators, and come under the Global Ministries umbrella as UB endorsed missionaries. Indiana residents: renewing your license plate in March? Consider getting a Huntington University license plate. For each plate you purchase, HU receives $25 for the Forester Fund, a scholarship fund that benefits more than 90% of our students. Last year, it generated over $13,000. Plus, the plates help raise people’s awareness of Huntington University. The state requires that at least 500 plates be sold each year. HU is in danger of losing its license plate because of low numbers, so your support is welcome. Anyone can order a Huntington University plate for passenger cars, trucks, recreational vehicles, and motorcycles. Current students who buy the HU license plate get the annual $50 campus parking fee waived for the year. You can learn more about this program on the HU website, and you can order through the BMV. The second Sunday of February is World Marriage Day and also the week of Valentine’s Day. I always address marriage on that day. To introduce my message to the congregation, we showed the amazing video testimony above. It is about a young couple in our church. Jesus also pointed to this principle when questioned about His position on divorce in Matt. 19:5. Finally, Paul referenced it in Eph. 5:31 as the foundation stone in the most famous marriage passage of the New Testament. The problem in today’s culture is we have reversed the order of the first principle of marriage. The man and woman do leave their parents, but often for the purpose of cohabitation. Therefore, for all practical purposes they have “become one flesh” before, not after, the wedding ceremony. This means when most couples are joined together in marriage today, the foundation has been built on a shame-based relationship. The result is just the opposite of God’s original design expressed in Gen. 2:25 for newly weds to be “not ashamed.” All the research confirms a much higher divorce rate among couples who violate this biblical principle. 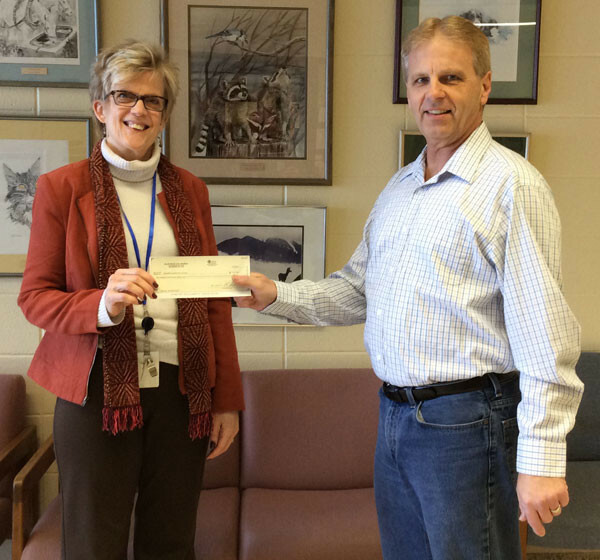 Pastor Greg Helman (right) presenting a check for Mowery Elementary School to Dr. Barbara Martin, the school principal. Blue Rock Church (Waynesboro, Pa.) contributed over $1300 to the Mowery Student Fund to help children in need. Each year, we receive an offering to bless those less fortunate at the school. The fund has no strings attached to it. So, the teachers and principal can decide how the money is distributed. It could go towards a coat, book bag, or a pair of shoes or clothing, to mention a few things. In addition to the money, Blue Rock Church hosts Mowery Elementary for Bible Release Time. Also, one of our Sunday school classes takes snacks and/or subs along with cards of encouragement to the staff periodically throughout the school year.